A Sports podiatrist can determine via biomechanical assessment and specific joint/muscle testing whether the condition of your hip, leg and lower leg complexes are sufficient for performing in your particular sport. When should I be assessed by a sports podiatrist? (1) Injury – If you have repeated or long standing lower limb injuries, it may be caused by a mechanical problem or functional imbalance in the body. To relieve the symptoms, the cause of the imbalance must be determined and treated accordingly. (2) Performance enhancement – For the recreational or elite level athlete who wants to avoid injury and maximise performance. A Sports podiatrist will often work closely with other health professionals such as Sports Doctors, Orthopaedic Surgeons, Physiotherapists and Exercise Physiologists. This is because many leg and foot problems are secondary to issues in the lower back and pelvis and may require interventions and treatments that sit outside the scope of Podiatry. What does a sports podiatrist do? 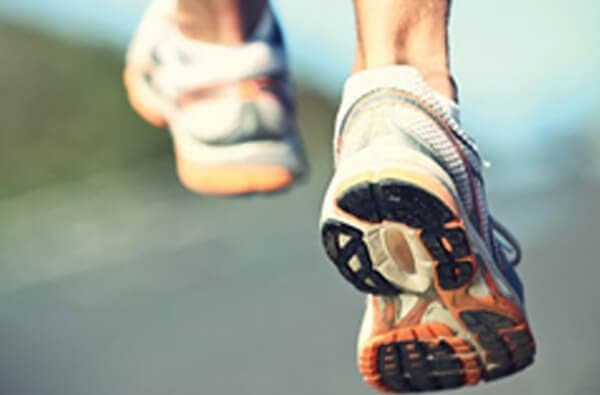 Sports podiatrists are experts in the diagnosis and management of foot and lower leg disorders with a particular focus on injuries associated with foot and lower limb function. With affiliations to groups such as Sports Medicine Australia (SMA) and the Australasian Academy of Podiatric Sports Medicine (AAPSM), you can be sure that you’ll receive the most up to date advice and treatment from the podiatry team at AC Podiatry.